Located Jhargram (Bengali: ঝাড়গ্রাম) is a subdivisional municipality in the Paschim Medinipur district in the Indian state of West Bengal.Jhargram is famous for its sylvan beauty and topography culminating in hill ranges of Belpahari, Kankrajhor in the North to the serene beauty of Subarnarekha in the south. It is a favourite destiny for people who love forest. 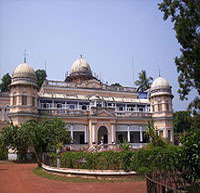 The ancient temples, royal palaces, folk tunes and rhythms of tribals and cashew make this sub-division attractive. 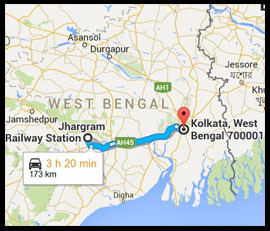 The West Bengal Government is now planning to establish Jhargram as an independent district.